Diego Costa is no one’s idea of a fool but he has been playing the clown, quite literally, as the impasse over his Chelsea exit goes on. 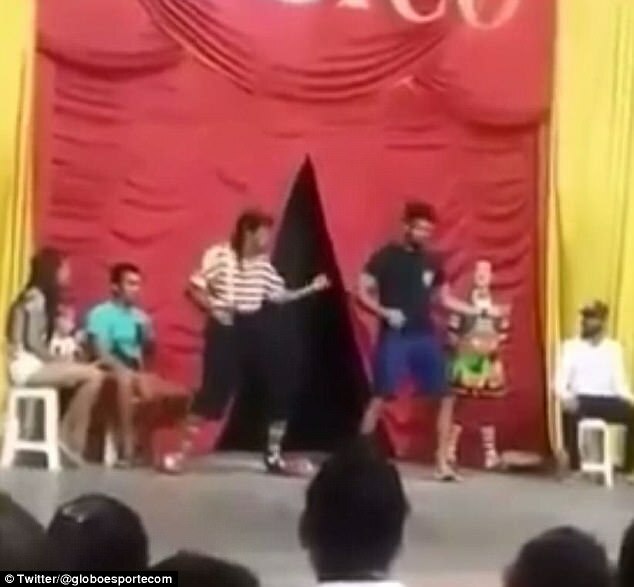 After being told to stay away from his club’s preparations for the upcoming season Costa remains in Brazil where he has been filling his time with a variety of activities. 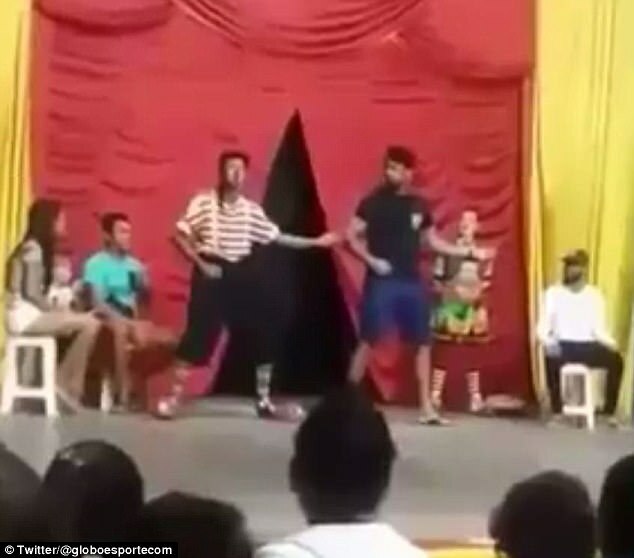 His latest – a visit to a circus – is now surely the most bizarre, especially after he decided to join in with a clown routine. 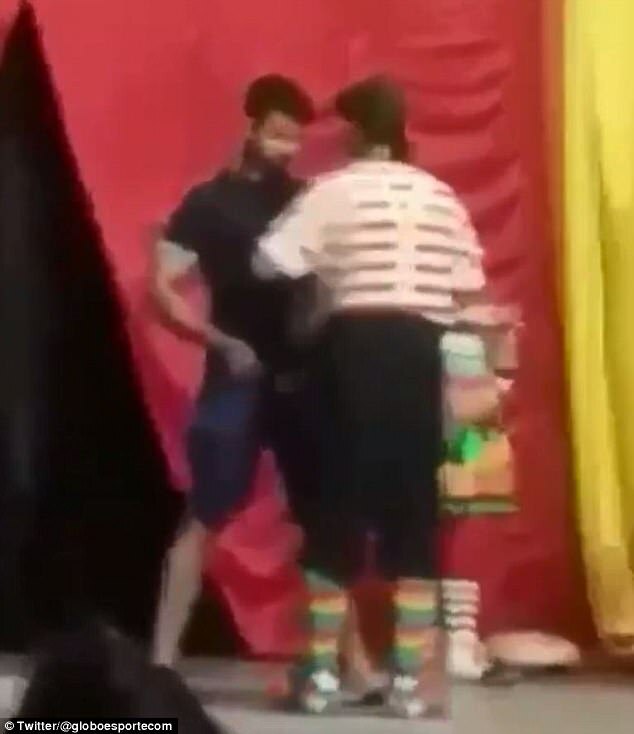 In a clip which has emerged of Costa at the circus in his native Lagarto, the striker can be seen entertaining children alongside a mime artist. 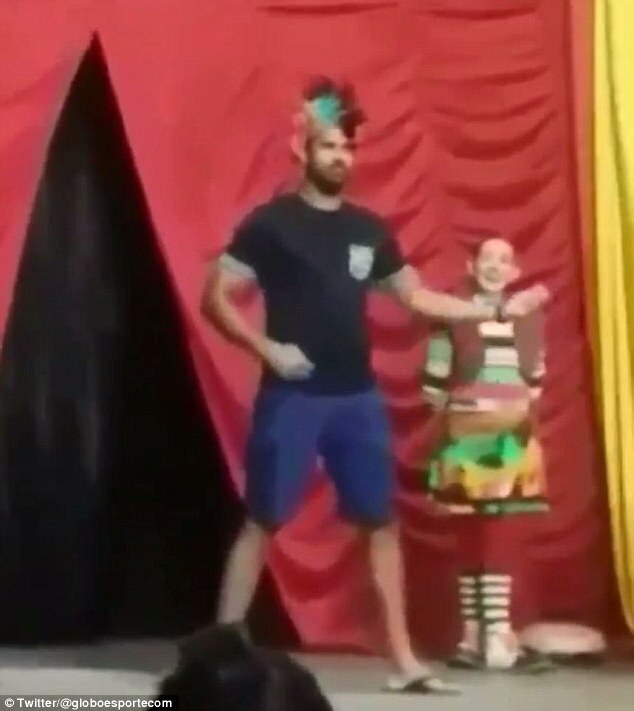 He is invited to join in with a routine where he is required to play an air guitar and don a multicoloured wig. The usually stone-faced Costa shows a previously unseen comic range and has the children in the audience in fits of laughter. It has not all been play for Costa though. 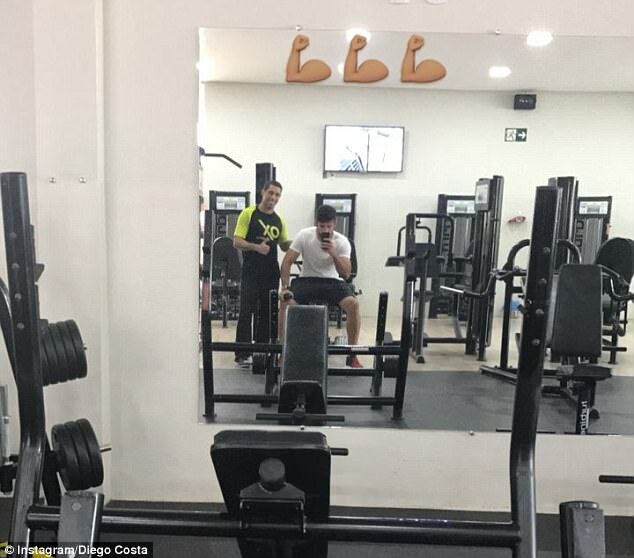 He showed he is still taking his conditioning seriously, later updating his Instagram story with a picture of himself in the gym. 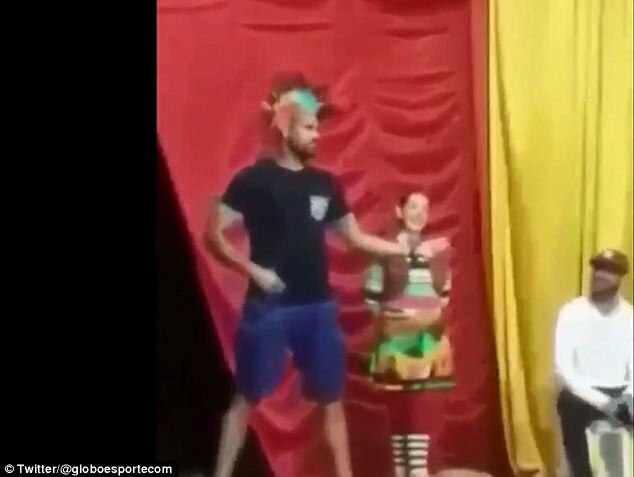 After an extended summer break where he has taken a dog out on a jet ski, trained on a beach and filmed a tongue-in-cheek message to boss Antonio Conte whilst wearing an Atletico Madrid shirt, some in west London might not see the funny side of Costa’s circus stunt though. Costa’s principal suitor, Atleti boss Diego Simeone, has refused to be drawn into any speculation over bringing Costa back to Madrid this summer. The Spaniard was Chelsea’s top goalscorer for the last three seasons, netting 59 times in 120 games since his £35million switch from Vicente Calderon in 2014. But the Argentine manager has remained particularly coy over his plans to sign the Chelsea hitman. 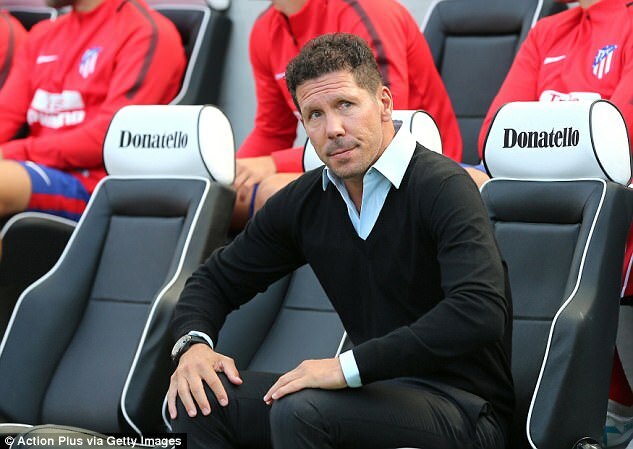 ‘I don’t want to comment too much,’ Simeone said after his side beat Premier League new boys Brighton 3-2.